Ensure the well being of your dear ones in all cities in India by sending them these delicious 500gms masala kaju. This 500 grams of crunchy Masala mixed Kaju wil tickle the taste buds of all . 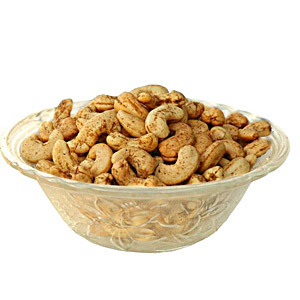 Send this gift on any occasion through GiftsAcrossIndia.com and let your dear ones cherish the taste of these dry fruits for many a days. Along with these, you can also send other Gifts across India. P.S - Picture is indicative. Bowl will not be delivered with the dry fruits.